Jesus wants His church to have open doors, welcoming all people to worship. But for America’s 54 million men, women and children with disabilities, those doors can lead to barriers — barriers of architecture, communication and attitude. People with disabilities long to be connected to the Body of Christ. They have gifts and talents to share. 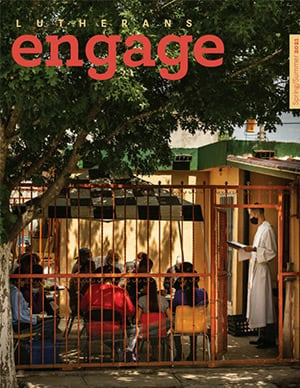 People with disabilities are less likely to be in worship and participate in the life of the congregation because of physical and attitudinal barriers, concerns about rejection or neglect, or the simple fact that people have not asked them to participate in worship, Bible study, fellowship and service. The Lutheran Church—Missouri Synod provides many Disability Ministry resources that can help you welcome all people to worship — regardless of physical, mental or developmental ability. The LCMS task force that addressed ministry to people with disabilities assembled a variety of resources that can be used to increase awareness in a congregational setting. “One Body, Many Parts” — People with disabilities long to be connected to the Body of Christ. They have gifts and talents to share. Learn about people with disabilities and how they long to be connected to the body of Christ. They also have gifts and talents to share. The Theology of the Cross by Rev. Dr. Herbert C. Mueller Jr.
Lutheran Friends of the Deaf, a member of the Mill Neck Family of Organizations, offers resources for deaf ministry. Worship Anew is the new name for Worship for Shut-ins. Worship Anew produces a national weekly television program that ministers to the homebound, nursing care centers, the hospitalized and those recovering from illness. 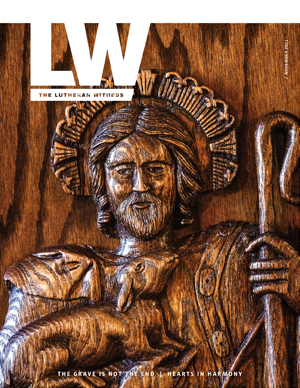 These articles were originally published in The Lutheran Witness, November 2013 issue, Vol. 132. Many were written by members of the LCMS Disability Task Force.